If you're looking for the finishing touch to your winter decor, you can get this Whimsy Snowman Indoor or Outdoor Welcome Floor Mat for your porch or kitchen floor. The unique image and vibrant colors are created using a dye sublimation process. The finished surface is fade and stain resistant and long lasting in the high traffic areas of your home. Pair your mat with our indoor tray for a cushion comfort surface great for easing stress on knees and feet. 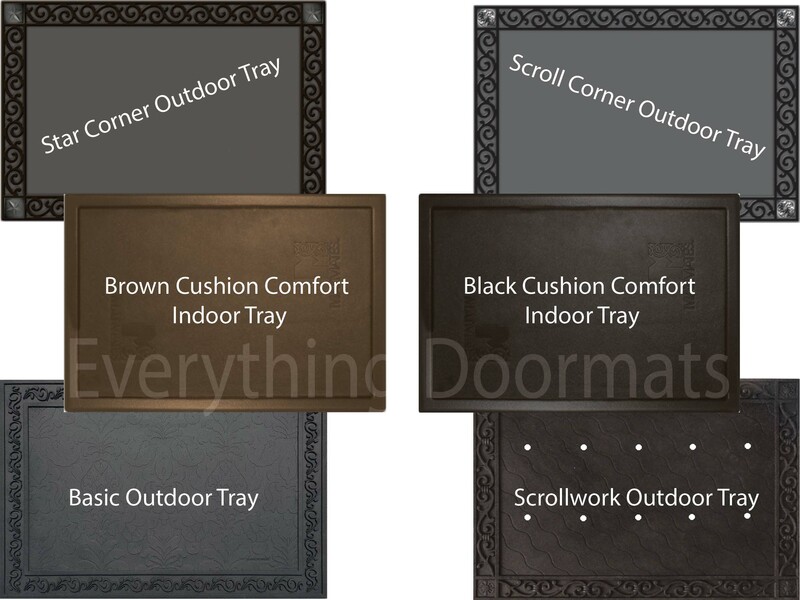 You can also display your mat with our outdoor tray providing a classy upscale look on your porch. Cleaning your mat is easy, check out our Mat Cleaning Page. This Whimsy Snowman Doormat is 18" x 30" when used as a stand-alone mat.